Altadena Library District invites you to Taste of ‘Dena, a fundraiser benefiting Altadena Library District. Please join us for a night of delectable wine, beer, and spirit tastings, samplings of amuse-bouches from a diverse assortment of local restaurants and caterers, and exciting prize drawings! Guests must be 21+ years old and over. All proceeds will support the development of a community-oriented, interactive outdoor space around the library. This expanded and improved garden environment will increase the Library’s capacity to provide outdoor learning opportunities for children and teens and a serene reading space surrounded by indigenous flora for patrons of all ages. To become a sponsor, enter your desired amount in the Sponsorship box above. Crazy mornings. Commutes. Life’s daily chaos. That’s where coffee steps in. One sip and the traffic isn’t so bad, that meeting isn’t so long. So let’s hear it for your daily cup of Dunkin. If you are one of the several hundred thousand people who placed a reservation for a Tesla Model 3, you are probably wondering what the status is. Since putting down $1000 to reserve there has been little communication about the Model 3 from Tesla, we know a few bits, from either twitter or releases, but beyond that things are still unclear. What we have heard is that by December 2017, production of the Model 3, should be at 20,000 vehicles per month, if that is right it could be 2019, before many see their Model 3. Tax credits/rebates will be reduced after the first 200,000 Tesla vehicles are sold. How does the US federal EV tax credit phase out work when Tesla hits 200,000 cars sold in the US and how does is affect the Model 3? Existing Tesla owners, Model S and Model X are first in line and have priority on orders. So most likely once all the existing Tesla owner orders are filled, there may not be any tax credits left. Some existing Tesla owners are offering their orders to friends and family. Tesla has a missed opportunity by not communicating better with half a million people who believe enough in Tesla and Elon Musk. We may get a better idea of what the future holds on Friday 8:45pm. You can head over to tesla.com to watch as the first Tesla Model 3 are delivered to owners, live streaming. The July 28, 2017 event is significant as it confirms that Tesla is on target to deliver the Model 3, and those on the fence about cancelling will perhaps ride it out through 2017 and maybe 2018. You can listen to a song someone wrote about waiting for his Tesla Model 3. Everyone who is holding a reservation probably feels like number 400k in line, except for those existing owners. If Tesla offers driving opportunities of the Model 3, it will surely help especially if it is impressive. Join us for summer fun at the 55th Annual Watermelon Festival, July 29th &3 0th, 2017. Kids: Petting Zoo, Pony Rides, Children’s Theater, Magic Shows, Bubble Parties, Balloon Hats & Animals, Melon Racing/Eating Contests, Games, Crafts, Prizes, all Included! A BEST VALUE IN SUMMER YUM & FUN!! 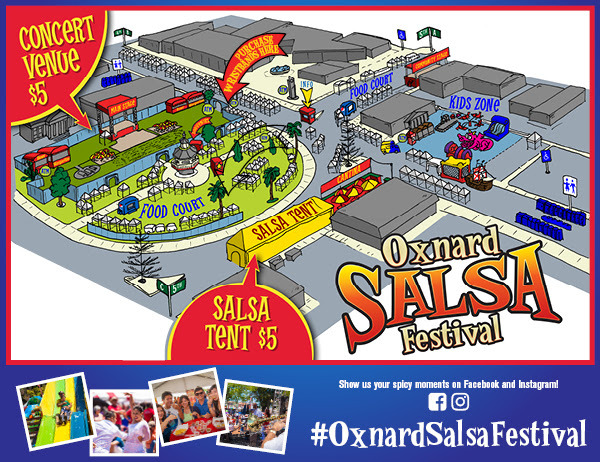 Come to the 24th annual celebration of everything salsa – the food, the music, and the dance. Community Dance Showcase – Saturday at 1 pm! 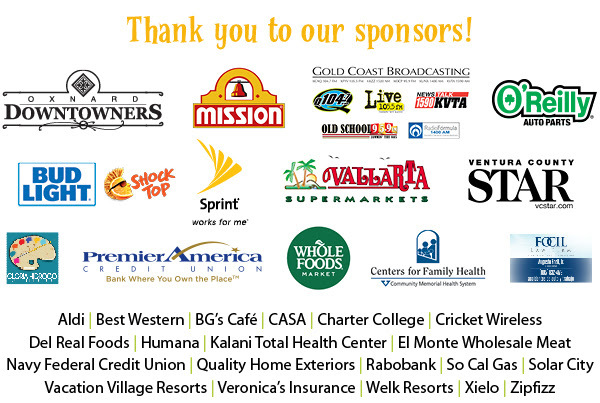 Dancing with our Community Stars – Sunday at 1 pm! Parking is available in the Downtown Parking Garage at Fourth and “B” Streets, in the lot behind the Oxnard Public Library at Second and “A”Streets, at Heritage Square at Seventh and “A” Streets, and other public lots throughout the downtown core. On-street parking is also available throughout the downtown and in the nearby Henry T. Oxnard Historic District. Don’t Miss the Friday Night Concert! 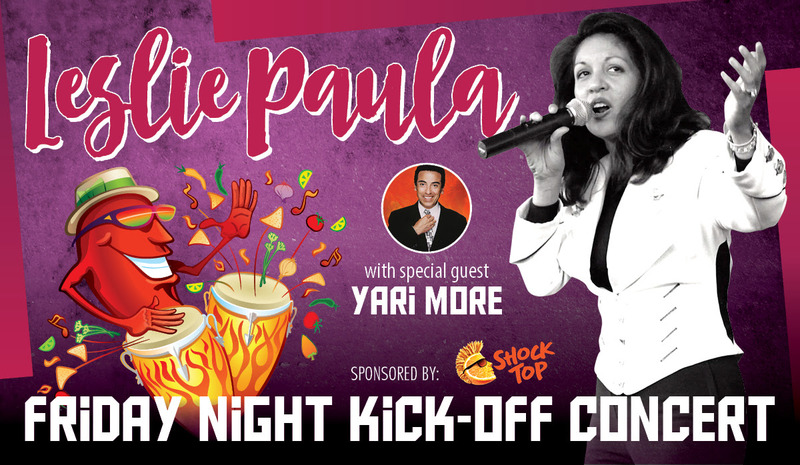 The festival kicks off with a special Friday Night Concert, July 28 at Plaza Park featuring Leslie Paula with special guest Yari More! 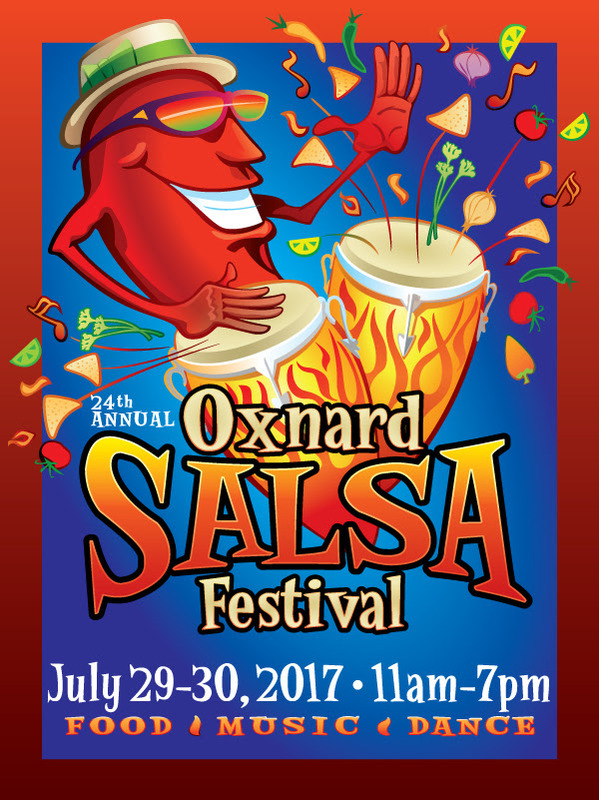 Get your salsa groove going, order reserved seating today! ORDER A TABLE FOR SIX OR LAWN SEATING. You can also purchase at the gate the evening of the concert starting at 5:30 on Friday, July 28. Give the Muir Ranch Farm Box a try – for FREE. It’s a DIY/buffet of the season’s produce; much of it is picked the morning of pick ups. Just fill your bag with what you want, nothing you don’t. July’s offering are organic, heirloom tomatoes, basil medleys, zucchini, purple kale, leeks, shelling peasand stone fruit. We grow and buy from local farms like Tutti Frutti, Top Notch, South Central, Anna’s and Burkhartt’s so there’s always amazing flavor. Pick up is on Monday from 4:30 – 6:30 at Muir High School, rear entrance off Circle Dr. and La Cañada. Patch MD was founded by top rated doctors and scientists. The latest in topical patch technology PatchMD’s solution to your nutrient intake. 100% natural, convenient and easy to use. Lactose, gluten and sugar-free. PatchMD the Vitamin Revolution. Truly changing the world for the better 1 patch at a time and there is a lot to be said for that. The Federal Trade Commission and the National Association of Realtors have issued a warning, for consumers to be mindful of a growing mortgage closing phishing scam that could leave buyers without a down payment. Here’s how the scam works: Hackers break into a realtor’s email account to get information about upcoming real estate transactions. By monitoring the agent’s email traffic, the hackers can learn the identities of buyers and sellers, the name of the title company, and the date of a scheduled closing. The hacker then sends an email to the buyer, posing as the real estate agent, or title company, notifying them that there has been a last minute change to the wiring instructions, and instructs the buyer to wire the closing costs to a different account. If the buyer takes the bait and wires their money to this bogus account, they will likely never see the money again. Sending money by wire transfer is both immediate and permanent. If you are in the process of closing your mortgage and receive an email with wiring instructions, STOP. Contact the company through a phone number that you know to be legitimate to verify the instructions. Do not use a phone number, email address or link provided in the email you received. If the sender asks for specific financial details, such as your bank account number or credit card information, do not reply. Legitimate agents and title companies will not ask for this information by email, since it is not secure. If you believe that you are a victim of a phishing scam, report it to the Federal Trade Commission at: ftccomplaintassistant.gov and the FBI Internet Crime Complaint Center at: ic3.gov. Safely dispose of household hazardous waste and recycle electronics, 9 a.m. to 3 p.m., Saturday, July 15, 2017, in Parking Lot I, south of the Rose Bowl Stadium, 1001 Rose Bowl Dr. The free event is sponsored by the Los Angeles County Department of Public Works in cooperation with the City’s Department of Public Works. Motorists are advised to use caution while traveling through the area and to follow instructions given by event staff. NO document shredding will not be provided at the event. Household hazardous waste items include used motor oil, oil filters, antifreeze, automobile and household batteries, paint, brake fluid, paint thinner, cleaners with acid or lye, pesticides or herbicides, expired pharmaceuticals and fluorescent light bulbs. E-waste items include computers, keyboards, printers, monitors, laptops, docking stations, scanners, shredders, fax machines, computer mice, telephones, televisions, flat screens, VCRs, DVD players, PDAs, cassette players, tape drives, stereos and household batteries. NO explosives, radioactive materials, trash and tires, controlled substances and household appliances. Limits are 15 gallons or 125 pounds of household hazardous waste. There is no limit for e-waste. More information at www.cityofpasadena.net/PublicWorks/One-dayE-WasteCollectionEvents. For more information about the Los Angeles County hazardous waste disposal program, call (888) Clean LA, (888) 253-2652, or (800) 238-0172. Celebrating 75 years in Alhambra the SGV icon is set to expand with a new location in Pasadena. Twohey’s Tavern will open up at 2835 E. Foothill Blvd. in Pasadena. The new Twohey’s will occupy what was La Nueva Posada, which is closed. The restaurant will have a different menu, with a focus on an upscale versions of Twohey’s classics. Chef Travis Limoge is charged with the Alhambra and new Pasadena location expected to open sometime in the fall of 2017. See the complete production on how our popular Sriracha Hot Chili sauce is made. Starting Saturday September 23rd – October 14th and only Saturdays from 10am – 3pm join us for our fourth annual chili grinding open house event. Note: In case of rain we will not be receiving chili peppers and therefore, you will need to reschedule your tour time. Please check your emails continuously for updates, changes, or cancellation. Stark Spirits, Pasadena’s only distillery, is now open for tours and tasting Friday and Saturday 2PM-6PM. Tours last from 60-120 minutes long depending on questions. A visit must be scheduled. https://starkspirits.com/tours. A micro-distillery built and operated by Greg Stark and his wife Karen. We will be making rum, whiskey, gin, and orange brandy near the famous Rose Bowl.